ASUS had recently launched its 2nd Generation ASUS ZenFone (ASUS ZenFone 2) with specs that are comparable to high-end models from other well-known smartphone brands and at a very reasonable price. Don’t be confused by the ASUS ZenFone 4, 5 and 6 already in the market – they were named for their screen sizes i.e. 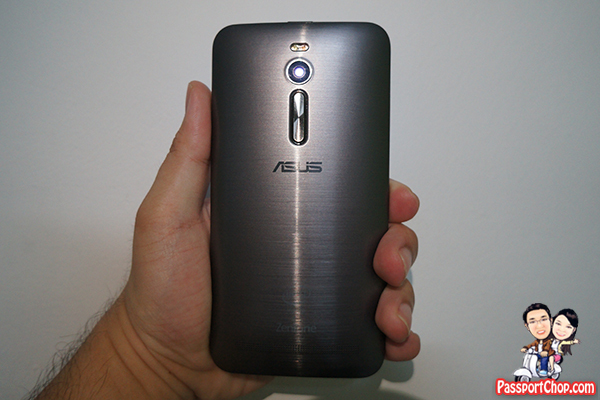 4-inch, 5-inch and 6-inch and they were the 1st Generation ASUS ZenFone. 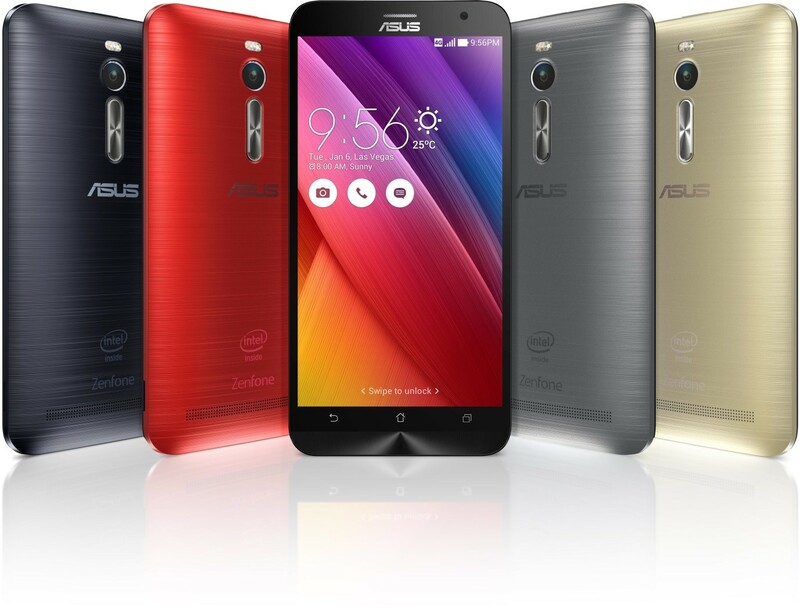 One thing to note is that there are three ASUS ZenFone 2 models with 2GB RAM, namely ZE500CL, ZE550ML and ZE551ML. These models retail at $249, $299 and $349 respectively. 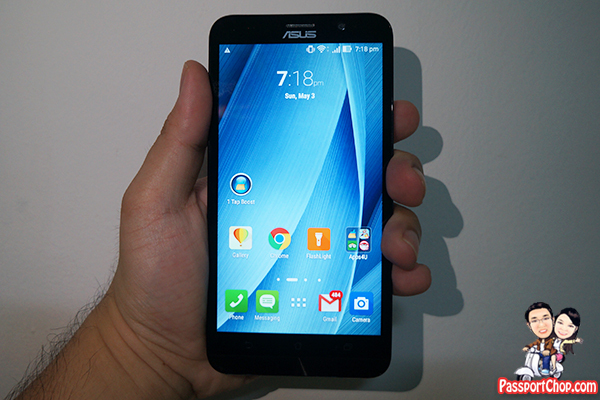 Another important point to note is that the ZE551ML ASUS ZenFone 2 model also comes with 4GB RAM. It is also known as the “Monster Performance Smartphone” and Singapore’s first smartphone with 4GB RAM. The 4GB RAM ZE551ML retails at S$429 and S$499 for the 32GB and 64GB models respectively. The 32GB model will be available in store from 16th May at all ASUS authorised retailers, ASUS brand stores, ASUS online store, M1 and StarHub shops; while the 64GB model will be available at Singtel. Now that we have clarified on the naming conventions for the ASUS ZenFone 2 so that you know the right phone to buy, we will review in this blog post the ZE551ML ASUS ZenFone 2 with 4GB RAM. The ASUS ZenFone 2 packs a Full HD 1920 x 1080 resolution IPS display on a huge 5.5 inch screen – perfect for viewing videos and playing games. 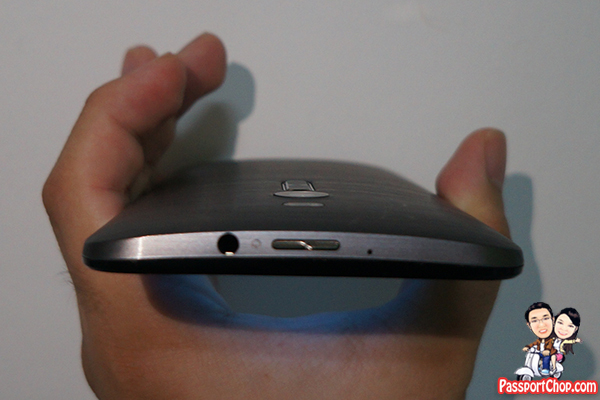 One thing that caught my attention was ASUS ZenFone 2’s curved back and thin edge which is designed to comfortably fit your palm for ultimate comfort without sacrificing style – the back cover features an exquisite hairline design with a metallic finish. The ergonomic design, provides the most intuitive way to use your smartphone. Using your index finger, as you naturally would for so many other real-world functions, you can not only adjust the volume but also use it for other functions like taking a selfie – if you have small hands, the placement of these buttons is definitely very useful. 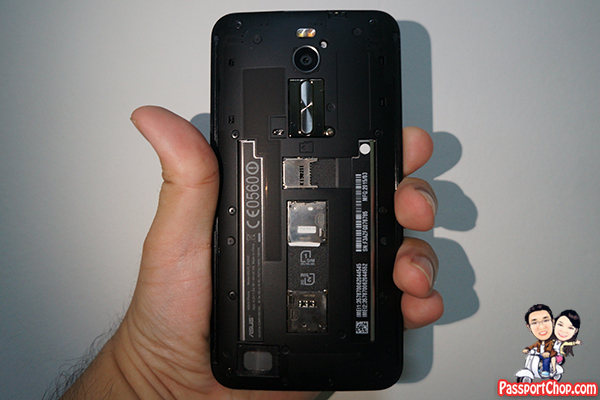 The ZenFone 2 ZE551ML is equipped with 4GB RAM which is the first in Singapore. This alone, will provide end-users with “monster performance” allowing them to have smoother multi-tasking and gaming experience. In addition, the ZenFone 2 is powered by a 64-bit 2.3GHz Super Quad-Core Intel processor which balances brilliant performance with great power efficiency. What this all means is you can multi-task across many apps at the same time – even very graphics-intensive apps like videos and games. 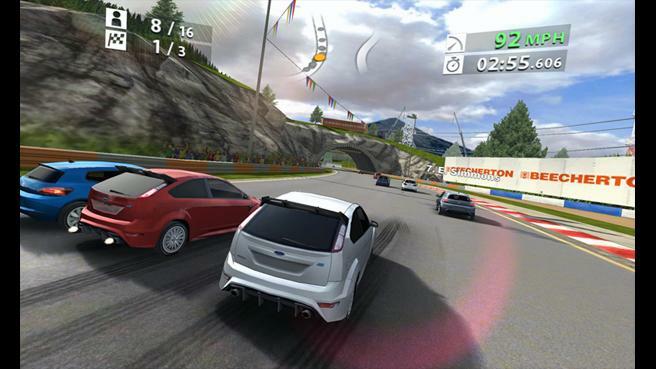 Nowadays, smartphone games are getting more complex with open-world gameplay like Grand Theft Auto and realistic experiences like driving a race car in Real Racing. See this video for an example of how ASUS ZenFone 2 ZE551ML handles multi-tasking across five very resource-intensive games with no noticeable lag or delay. All the game-playing and video-watching on ASUS ZenFone 2 ZE551ML will drain the 3000mAh battery in less than a day – but if you are a light user e.g. just checking emails and surfing the net, the battery should last you about a day and a half. Thankfully, the ZenFone 2 is equipped with BoostMaster Fast Charging technology that allows end-users to charge up to 60% in 39 mins. It will take about an hour to get a full charge. The ZenFone 2 is a Dual-Sim, Dual-Active 4G LTE device which allows you to have 2 SIM cards on the device, both active at the same time, so no calls are missed. Do note that this is not applicable to the ZE500CL model. There is also a microSD card slot located right above the micro-SIM slots which supports memory cards of up to 64GB storage capacity. ASUS ZenFone 2 has many interesting features for phone photography – it even has a proprietary ZenFone 2 PixelMaster camera technology that allows for superb images which are up to 4x brighter and with better contrast. The 13 megapixel rear-facing PixelMaster camera come with a f/2.0 wide-aperture lens and is able to capture high resolution photos with zero shutter lag. The 5 megapixel front-facing camera’s 85 degree wide-angle lens allows the user to shoot sharp selfies and enjoy crisp, clear video chats. ASUS ZenFone 2 has 16 different built-in picture modes to allow the user the most amount of flexibility in the pursuit of the perfect shot. You don’t have to remember what are the 16 modes – when you are shooting pictures on Auto mode, the ASUS PixelMaster automatically recognizes the current environment and smartly suggests the right picture mode to help you best capture the moment. 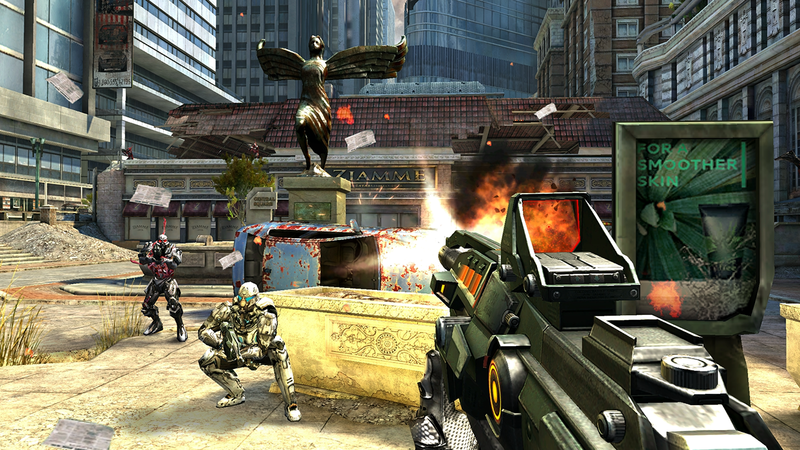 The best part is you need not go back to settings to setup the suggested picture mode – a one-tap “button” is shown on screen for you to swap to that picture mode. Dimly lit conditions can make phone photography very challenging but ASUS PixelMaster’s Low Light Mode will automatically adjust for noise-level, color and contrast. Smart Pixel Merging and Pixel Perfecting results in 400% better light sensitivity, 400% noise reduction, and a 400% increase in contrast. See this image we took under low lighting conditions – on the left, you see an image taken using ASUS PixelMaster Auto mode (where the picture quality is typical of most smartphone cameras for low lighting conditions) and on the right, that image was taken using ASUS PixelMaster Low Light Mode – a lot brighter and less grainy. There is another fun photography mode to check out with the ASUS ZenFone 2 – the backlight HDR mode. By using pixel enhancing to provide 400% more brightness and contrast, foreground subjects stand out clearly and are free of shadows. Exposure balancing adjusts the under-exposed and over-exposed areas of the picture to create an even-exposure across the entire picture, resulting to professional-looking photos. This is perfect for photo-taking with sights during your travels – more often than not, we were not able to take a good picture during sunset/sunrise when the sun is behind us and either us or the sight would be under-exposed/over-exposed. 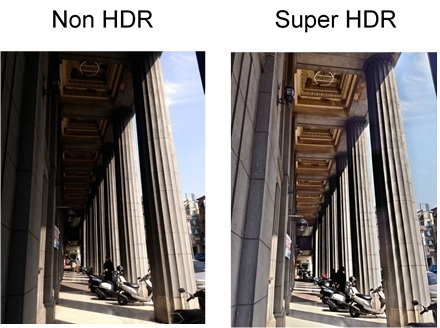 With ASUS ZenFone 2 HDR mode, we can prevent this from happening and take better pictures. 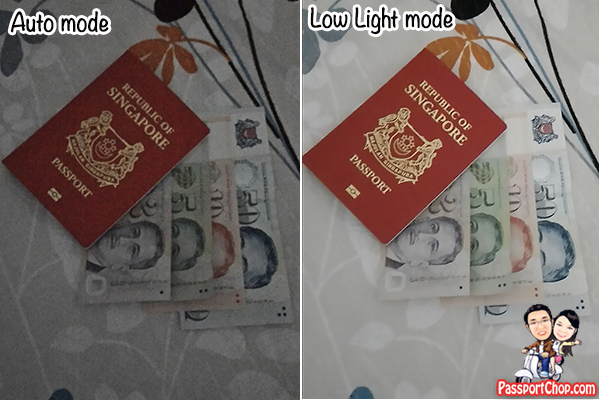 The Manual mode of the ASUS ZenFone 2 was an interesting addition to the many camera modes for the phone – you can make adjustments to horizon level, histogram chart, shutter speed, white balance, ISO, EV, focus distance, saturation, contrast, sharpness, noise reduction, metering, and separate autofocus and autoexposure points to get the best picture from your shot. This is definitely not a feature I see in many pictures and it is also very easy to use – just a few taps on the screen and you are set to shoot like a pro. There is no need to fiddle with complex dials and buttons and you get to see how the image will change as you adjust the various settings. We have all heard of selfies – ASUS ZenFone 2 takes selfie to the next level with the Panoramic Selfie Mode. With this mode, group selfies (or wefies) are made easy for those wanting to capture a group of friends, or include scenery in their selfie, as the ZenUI Selfie Panorama mode captures panoramic selfies with up to a 140-degree field of view. It is hard to explain in words so check out the video below on how it works – it is really very cool! You can also do real-time beautification on your selfies. 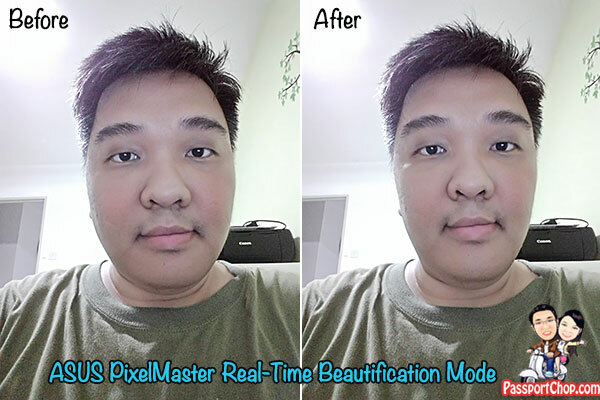 With just three taps on the screen, I was able to sharpen my chin with the beautification function on the Selfie mode – see the before and after picture below! No need for complex Photoshop tools – there are also beautification modes for bigger eyes and more blush on the cheeks! Tap Tap: Tap the screen twice when the screen is off to wake the phone without having to reach for the power button. 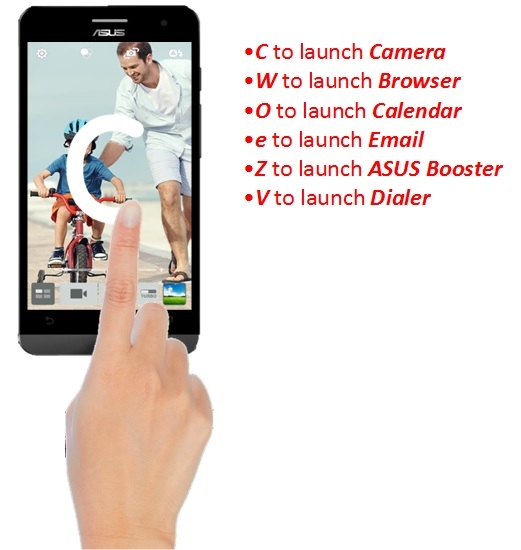 Touch Gesture: Shortcut to the ZenFone apps when the screen is off. Furthermore, the ZenFone 2 features updated ZenUI apps, which include the all new Collage and Effects, allowing users to unleash their creativity to create beautiful montages and stunning special effects with just a few quick gestures. 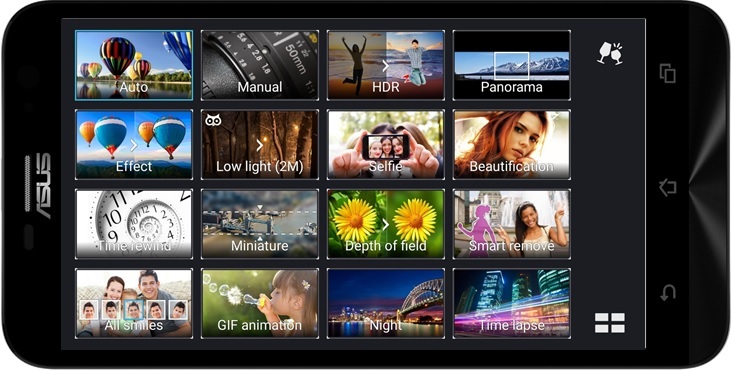 Another part of ZenFone 2’s easy-to-use app lineup is ZenUI MiniMovie, which enables users to quickly and easily put together photo slideshows, complete with titles and beautiful background music. 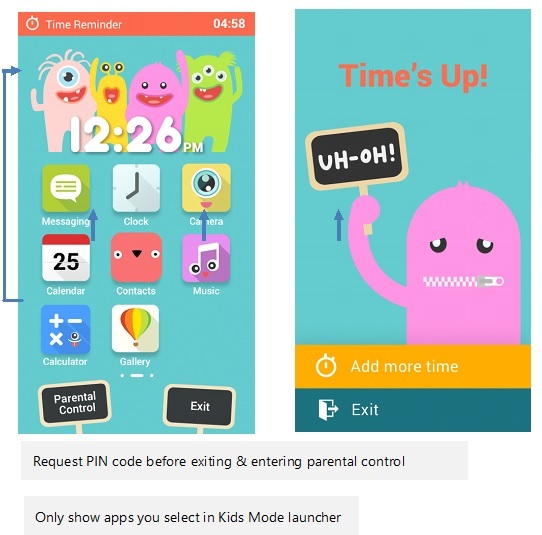 If you have kids who like to meddle with your phones, there is also a Kids Mode where you can select what apps you allow your kids to use on your phone and how long they can use your phone. 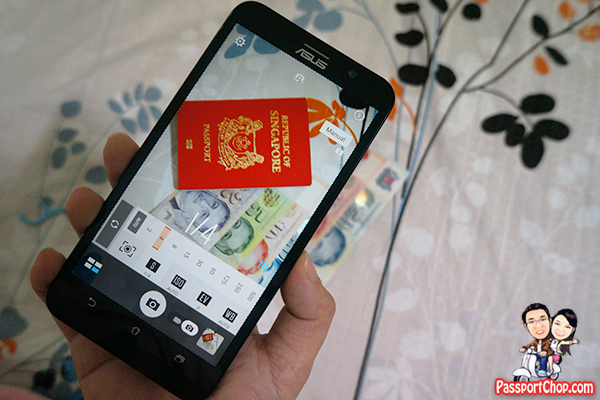 From all the features we highlighted in this review, it is clear that ASUS has made a lot of effort to build powerful specs like a 4GB RAM, intuitive UI like the ZenMotion and fun features like the Panoramic Selfie mode and at the same time, make the price point of the ASUS ZenFone 2 quite competitive. The ZenFone 2 is very much equal to other high-end smartphone brands in terms of design, performance, camera, yet is less than half of the price. Thus, if you are looking for value for money and a phone that is easy to use and yet powerful, ASUS ZenFone 2 is a smart choice.